I'll admit it. 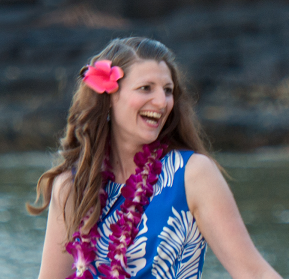 I am a bit of a control freak (which is one of the reasons why I homeschool). I didn't give my precious (ahem, more like impulsive and careless) firstborn scissor privileges until he was a preschooler. I felt pretty guilty when his best friend, a child I babysit, could cut beautifully, while mine didn't even know how to properly hold the scissors! I've loosened the reins quite a bit since then. We paint, cut, and glue constantly now. When Mama wants some quiet time to play on the computer, I give them a folder full of scraps and let them cut and glue until bedtime. The living room looks like a tornado whipped through it, but I park the trashcan in the middle and they clean up every single solitary piece so I don't even have to vacuum! No television? No bickering? No vacuuming!?!? Yes! Let's do this more often! I created a fun cutting activity for little (or bigger) ones. It also serves as a craft too, a cute one that you'll want to display or give to Grandma. 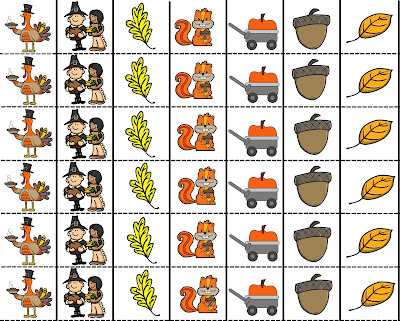 There are enough images on the sheet I created to make two Thanksgiving scenes. Either bag up the extras for another day, or split between two kids. 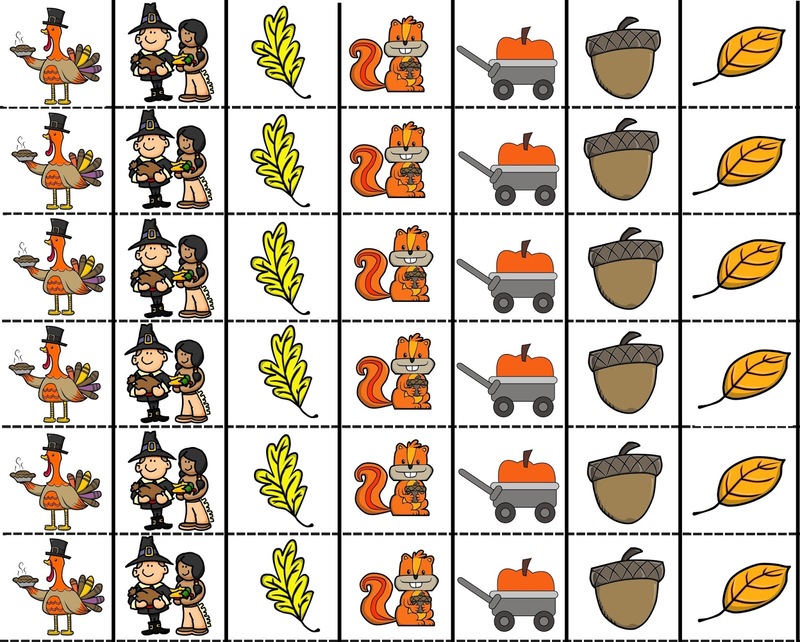 I also included a simple Thanksgiving border page. While this can serve as an easy background page for your child to glue the clipart on, it doesn't have to be. I wanted to provide something extra that involves no prep, just in case. I loved the results of this printable, so much so that you'll be seeing more just like this with different themes (race car, Christmas, winter). You can find this for free in my TpT store! Speaking of loosening the reins and doing more cutting, gluing, and painting- we made some fun crafts this week as we gear up for Thanksgiving! Are you like me and are tired of seeing 100 turkey crafts and few revolving around the Pilgrims and the Mayflower? My oldest is 5, so this is the first year I've really taught him the first Thanksgiving! I found 2 easy crafts from one really great site. First up- a paper plate Mayflower! 2) Cut another paper plate in half and paint brown. 3) Cut another paper plate into fourths- making 2 sails. The other half of the plate is extra or for a second child. Glue a craft stick down the middle of the ocean and into the boat pocket. Glue on sails. 4) Staple brown boat onto the blue ocean plate, but only around the edges so a pocket is formed. This is where you'll put the pilgrims. 4) Color a picture or two of pilgrims, cut, and glue into the boat (pocket). He's a messy one, ain't he? Easy craft number 2- an Indian Corn with the colors of salvation. I was thrilled to find this Christian craft! 2) Let children paint the Indian corn with q-tips. We painted the husk green with a paintbrush. These were cute, easy, and had such a great message. My little guy walks by the fridge and says, "The red is for Jesus' blood." I love to hear him say that. A lot. Be sure to Subscribe by email to receive first notice of more freebies and teaching tips!